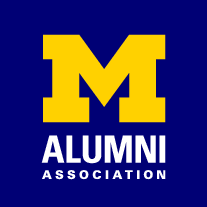 U-M alumni have made an impact on the world, coming from different countries, studying different subjects, entering different professions. From Nobel Prize winners and astronauts to noted actors and athletes, U-M alumni have made an impact on the world. They come from different countries and different cultures; they studied different subjects and entered different professions. But all have one thing in common: The University of Michigan. In celebration of the University’s bicentennial, we highlight some of them in our photo gallery below, showcasing the breadth of alumni accomplishments. This is not a ranking, but rather a confirmation that the University’s 19 schools and colleges truly have produced the Leaders and Best. Once you've viewed the gallery, you'll want to learn more. At our Bicentennial webpage, on a special timeline, you’ll read about three U.S. Supreme Court justices. Two of the first Chinese women to be trained in Western medicine. The co-founder of Boeing. The man who integrated Major League Baseball by signing Jackie Robinson. The advertising executive who created Tony the Tiger and Charlie the Tuna. The “father of the digital age.” The first woman to compete in the Indy 500. The only librarian to have her own action figure. The Material Girl. They have carried on the tradition of the first 11 alumni, those who left the University and went out into the world, making it a better place. With each accomplishment, across a span of two centuries, these alumni have strengthened the fabric of the U-M community. View complete Bicentennial Timeline here.